For more than 35 years, Attorney Mike Rudolph has defended people against every level of drunk driving charge under Wisconsin laws. Attorney Rudolph's outcomes have exceeded expectations time and time again. While many lawyers talk about having your back, you'll not question that Attorney Mike Rudolph does and fights for you every step of the way. Attorney Rudolph is well-known throughout the legal community as the 'Go-To Guy' for drunk driving defense. Attorney Rudolph represents people against both Felony and Misdemeanor charges and every level of drunk driving offense including Drunk Driving, illegal field sobreity tests, refusing to submit to a field sobriety test, blood test refusal, and homcide by intoxicated use of a vehicle. He also represents people against criminal prosecution of every type of offense, all Felony and Misdemeanor cases, burglary, embezzlement, felon in possession of a firearm, forgery, fraud, robbery, theft, murder, felony murder, reckless homicide, negligent homicide, and a variety of traffic offenses. You have 10 days to act to save your driver's license! Refer to You Can't Wait To Talk To Me! Sometimes, people think they will get a 'do-over' when it comes to a drunk driving charge, but that is not the case. Wisconsin doesn't expunge drunk driving convictions. By hiring Attorney Mike Rudolph to defend you against the charges you are facing, you can rest reassured that you have done all you can to ensure the best possible outcome. Wisconsin laws are tough. They include fines, jail time, loss of driving privileges and, sometimes, devices put on vehicles interferring with and embarassing a person. Accidents can increase the punishments, and deaths caused by accidents when a person is drunk, have very severe sentences. If you have been arrested for driving while impaired, drunk driving or a drunk driving related crime, please call Attorney Mike Rudolph at 920-730-8533 right away. Attorney Mike Rudolph’s years of experience, presence in the courtroom and proven track record are exactly what his clients look for when selecting an attorney for Criminal & Drunk Driving Defense. 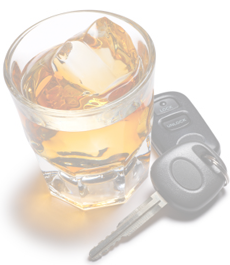 Find out why you should not wait to contact an attorney about your Drunk Driving case. If you have been arrested for a OWI/DUI you can dramatically improve your chances of having a much better outcome by taking the proper immediate action to defend yourself against the OWI/DUI charge. Field sobriety tests consist of the horizontal gaze nystagmus, the walk and turn test, and the one legged stand. Find out why there are flaws with these tests. DO NOT REFUSE TO TAKE BREATH, BLOOD OR URINE TESTS AT A DRUNK DRIVING STOP. Find out why? The issues for a hearing are limited. Find out what they are and how it could affect a person's OWI Offense.